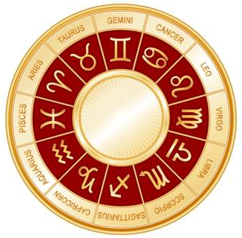 Astrology is the study of celestial bodies and has been going on since time began. In the past people worshipped the stars, the planet and the moon. Celestial bodies were named after Gods and priests and prophets made it their priority to practise following the stars. The revelations of these followings were then made common knowledge to the people and any insights were given to the reigning King of the time. Gradually throughout time astrological divination developed and became a science based on historical documentation of what events occurred and when. Wars were decided to be fought and thought to be won or lost based on what the ‘gods’ were saying, the size of the moon and an equinox for example. Stars were thought of as heavenly and across the world people developed their own astrology from the Egyptians, Indians, Babylonians, Chinese, Mayans to the Europeans and Middle East. After Alexander the Great conquered Egypt in 332BC, A Greek practise called Horoscope astrology was born. The Greek astrologer and astronomer, Ptolemy defined the planets, houses and signs of the zodiac, which were determined by a person’s time of birth. Since then, little has changed in the details. Astrology became hugely popular and was integrated into medical practices. It was regarded as a natural science. Each body part had an astrological sign attached to it. Aries was the head, Pisces was the feet etc and if someone became ill it was regarded as being due to a constellation alignment or a star’s position in the night sky. The twelve signs of the western zodiac are said to represent twelve personality types or character modes of personality and this where we take our modern day horoscopes come from. The first zodiac sign nearly always starts with Aries followed by Taurus, Gemini, Cancer, Leo, Virgo, Libra, Scorpio, Sagittarius, Capricorn, Aquarius and Pisces. These twelve star signs are linked with an element, water, air, earth or fire. Each element has three signs attached to it. Aries, Leo and Sagittarius are Fire elements and these signs exhibit righteousness, Taurus, Virgo and Capricorn are Earth elements and they show propriety, Gemini, Libra and Aquarius are Air elements and they possess the virtue of knowledge and Cancer, Scorpio and Pisces are Water elements who feel things deeply and passionately. Visit our Psychic Readers page and see which of our readers use astrology in their readings.